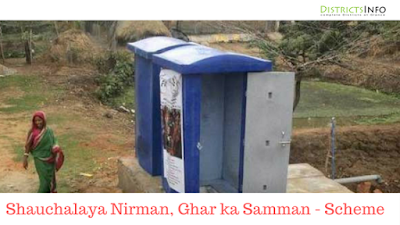 Shauchalaya Nirman, Ghar ka Samman Yojana: In Bihar still, people in the villages are going outside for toilets. But nowadays as we know that it can be very dangerous sometimes. So many schemes have been started for making toilets in the home. Again Bihar government has started a new scheme named as Shauchalaya Nirman Ghar Ka Samman. A high percentage of people in Bihar can’t afford to make a toilet. So now these schemes will help them to have a toilet in a home. In India, almost 70% of the population doesn’t have a toilet. And nowadays healthy sanitation is required. As it affects children’s health and many diseases will arise. People must use toilets as it will lead to a healthy habit. There are many schemes in India like Shauchalaya Nirman Ghar Ka Samman about which the needy peoples don’t have any knowledge about these schemes. So many schemes just come and go and many people don’t even know about these schemes. What is Shauchalaya Nirman Ghar Ka Samman? Shauchalaya Nirman Ghar Ka Samman scheme has been launched on 28th September 2016 with another scheme named as Har Ghar Nal Ka Jal. The main purpose of this scheme is to end the unhealthy practice of people going outside for toilets. Still, as we know 70% of the population doesn’t have a toilet. So the government has thought to end this unhealthy practice by 2019. A large amount will be invested to this project by Bihar government. This will be used to build community toilets across the state. This will help people living in slums and rural areas with no toilet facility. This scheme was one of the seven resolves the state government has thought to improve overall growth of Bihar. In next 4-5 years the government has thought to free the state from unhealthy habit of going outside for toilet purpose. Also, the government has decided to provide free drinking water to all households under Har Ghar Nal Ka Jal. Shauchalaya Nirman Ghar Ka Samman scheme will help poor peoples and people living in rural areas and slums. This scheme has not been prepared by keeping any particular section in mind. All the peoples will get the benefit of Shauchalaya Nirman Ghar Ka Samman scheme. Under Shauchalaya Nirman Ghar Ka Samman scheme government will provide financial support to each household. Almost 3 crores rupees has been invested in this Shauchalaya Nirman Ghar Ka Samman scheme. How Shauchalaya Nirman Ghar Ka Samman Scheme Will Work? Shauchalaya Nirman Ghar Ka Samman is not just a scheme just on paper, but it will provide proper toilet in Bihar which will help people in rural areas and be living in slums. Government will help to make toilets which will reduce waste products to increase. Under Shauchalaya Nirman Ghar Ka Samman scheme every household will receive Rs 12000 to build private toilets in their house. In two sets 150 villages will be selected for proper work. First time 100 villages will be selected and later remain 50 villages will be selected. By the year 2019, almost every household will have a personal toilet in Bihar under Shauchalaya Nirman Ghar Ka Samman scheme. So if you know about this scheme tell others also to get the benefit of Shauchalaya Nirman Ghar Ka Samman scheme. The Central government has also started Swacch Bharat Campaign. This will also help Bihar to be a better state in future. India along with Bihar will get the benefit of this Shauchalaya Nirman Ghar Ka Samman scheme.